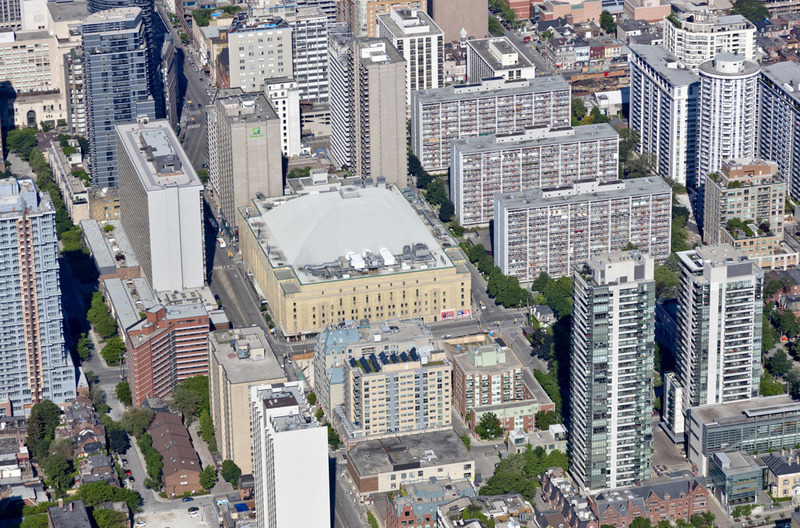 The redevelopment of the Maple Leaf Gardens in the heart of Toronto provides a modern sports and recreational complex for nearby Ryerson University and new retail options for the downtown community. Maple Leaf Gardens sat vacant for 12 years after the Toronto Maple Leaf NHL hockey team relocated. Creating a new multi-story building within the existing arena while also preserving its historical significance posed numerous complex structural engineering challenges. Innovative engineering designs for the primary structural frame delivered a successful adaptive reuse solution for this heritage building. The 200,000 SF Ryerson Sports & Recreation Complex, known as the Mattamy Athletic Centre, fills the upper levels of the structure and includes a fitness center, NHL-sized ice rink and high-performance gym. The first floor was retrofitted for Loblaws, a supermarket chain, and offers the downtown public a convenient retail location. 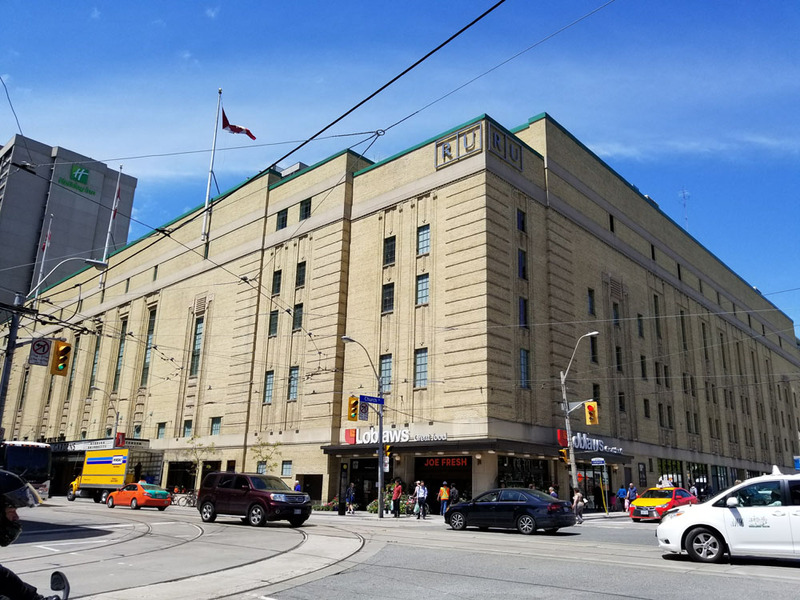 Through a unique collaboration between owners, architects, contractors, the City of Toronto and other consultants, the Maple Leaf Gardens Redevelopment has received much attention and numerous awards.